Founded in 1984, the STARRT Club is a non-profit society made up of St. Albert area residents dedicated to providing new and veteran, runners and triathletes alike, with a safe, challenging and fun training environment. Based in St. Albert, AB, Canada, we have a wide range of athletes that form the heart of our running and triathlon community. We welcome all athletes, from beginner to seasoned. In addition to our training and social agenda, we also host the annual St. Albert Road Race in April and St.Albert Triathlon in August. 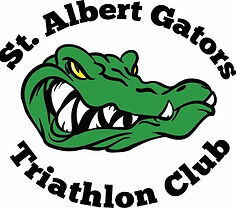 Please visit our sister club, the St.Albert Gators, for more information on a Triathlon Youth Program.